Anna Webber | Special to the Daily Oakland, California, soul legends Tower of Power will take the stage at the Vilar Performing Arts Center in Beaver Creek on Friday, Aug. 3. What: Tower of Power 50th Anniversary Tour. After 50 years of recording and performing together, you might think a band would run out steam and ideas. This is far from the case with Tower of Power, a revolutionary 10-piece funk ensemble that defined an entire genre of music. 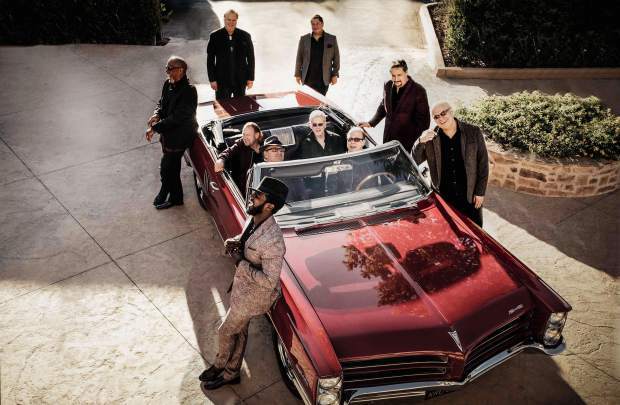 The Tower of Power 50th Anniversary Tour comes on the heels of an all-new album from the soul moguls, “Soul Side of Town.” Tower of Power didn’t make another album for the sake of it, but because the band genuinely felt it had more music to share with its listeners. In fact, Tower of Power had so much musical mojo that the band managed to write enough new songs for two full-length albums. “We recorded as many songs as we could and then picked the best ones, but (the record label) liked them all so much they told us to make a second album,” Castillo said. Of the more than 40 new songs to choose from, 14 went to “Soul Side of Town.” The remainder will make up another album to be released later this year. In the meantime, Tower of Power is touring the globe in celebration of 50 years together, and Castillo finds that this time spent with the band is the most rewarding part of the experience. Their favorite part of touring? You could call the band a family, but Castillo said the word is an “understatement.” He explained that what they are is even more than a family, and their lives have become intertwined in every possible way. This close bond is part of what makes their performance so powerful on stage — the music becomes an extension of their personalities, with which, after 50 years, they are wonderfully familiar. The band has evolved from its humble beginnings, but the music is still reflective of its wholesome (if not a little unorthodox) start. Castillo said he became a musician on a whim after his father caught him and his brother stealing a T-shirt and demanded they find something to “keep them off the streets.” Castillo and his brother chose music, and in that moment, when Castillo stepped into the music store and bought his first saxophone, he discovered a passion.